If you’ve been a skateboarder for some time, or even if you’re new to board sports, welcome to the smooth sweep of longboarding. The sport has been around since at least 1975, but in recent years it’s rapidly picked up popularity. Perhaps the greatest thing about longboarding – besides the fact that it’s incredibly fun – is that it’s accessible to everyone. While most are young guys and girls, longboarders are actually anywhere up to 50 years old. So there’s no stopping you, whoever you are, from having a go. Here’s everything you need to know about breaking into longboarding. If you’ve ever been surfing or taken part in other board sports, you’ll know that shorter boards are agiler, but longer boards are more stable. The same is true for land longboards. The longer it is, the more stable it will be. This means you can pick up lots of speed very quickly, but if you’re less experienced you might have a bit of trouble stopping yourself. 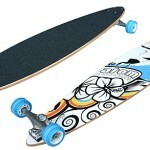 A shorter board will let you hit turns quickly but will begin to wobble as you pick up speed. You’ll need good core balance to keep stable, but you’ll be able to better carve up the roads. You also might be thinking about a regular skateboard. Again, it’s up to you. Longboards are better for carving and cruising like a surfer would. Skateboards, on the other hand, are better in parks and are really the only option if you’re looking to do technical tricks. 2. What About Concave Boards? 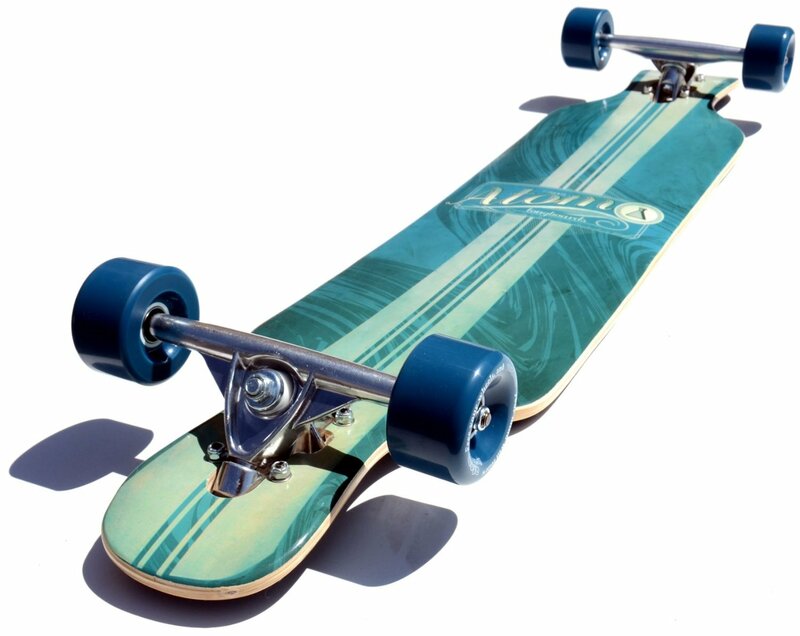 You might have noticed longboards with concave middles – meaning that they dip down in the middle and rise up at the edges. In fact, these are made in a few different styles. Some are designed to support the arches of your feet, giving you better control. Others support both the ball and the arch. If you like to ride in a certain way, you might find the different shapes either a help or a hindrance to your riding. It’s really a matter of choice, as with the length of your board. We recommend you try a few out and see what feels natural to you. No, protective gear doesn’t look particularly cool. Yes, it really will do you a favor when you fall off. Unfortunately, longboarding is a sport with a higher risk of injury than regular skateboarding. Don’t let that put you off – ride sensibly and you’ll be fine. The statistics don’t make the sport any less fun, but you need to look out for yourself. You want to get yourself a really good helmet for starters. Next, if you’re going to be sliding around, you don’t want to be doing that with your bare skin. Slide gloves are what you need. These have big pads on the palm, to help you pass them along the ground without getting hurt. You should also pick up some well-fitting knee and elbow pads if you’re a beginner. We’ve been there, and falling down hurts. Look after yourself. 4. Time To Get Skating! You’re finally ready to start skating. But which foot goes first? Left foot forward is called ‘regular’ footing. Right foot forward is ‘goofy’. There’s nothing odd about it, it’s just about personal preference. If you’re entirely new to board sports, you might not be sure which way round feels right. But you’ll eventually find a preference for one or the other, and become stronger in your stance as you get used to balancing on the board. Find a nice, flat concrete surface to practice on. This might be a quiet road or a skate park which has flats as well as ramps. Place your front foot on the board, about three-quarters of the way along. Let’s call the nose 12 o’clock and the direction you’re facing is 9 o’clock (for regular-footed people) or 3 o’clock (for goofies). Point towards 10:30 or 1:30 respectively. With your other foot, push gently backwards and place that foot on top of the board, kneeling slightly. Feel the glide – this is the life! As you get better, you’ll want to get faster and start carving. Don’t go faster than you feel you can control, and make sure you’re riding where there’s no traffic. Practice your turns by pushing down on the edges of the board to make it turn in that direction. Make your turns faster by leaning into the curves and using your arms to balance. If you lean too far, too fast, you’ll topple over – though if you have a very long board, this will help keep you stable during turns. Once you’re getting really good, you can try sliding. While going downhill at a reasonable speed (start fairly slowly), you need to shift your weight to the front of the board, while bending your knees and crouching down. Grab one side of the board and push back on the ground with your other hand. Remember to wear those slide gloves we talked about before trying this! You’ll slide forwards – and as you slide, stretch your body out and let your wheels drift across the concrete at a 90-degree angle. You should come to a complete stop. If you don’t go fast enough, this won’t work, but don’t overdo it on your first try! It’s better to fail because you weren’t going fast enough than to go too fast and come off your board. 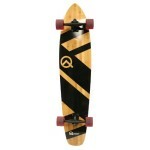 We love longboarding, and we’re sure you’ll grow to love it quickly too. Nothing compares to the freedom of cruising around town with your friends on a warm summer’s day. The most important thing with longboarding is to remember to have fun. Once you’re all kitted out, we know you’ll pick it up quickly – there’s nothing too difficult about it. And if you fall down, dust yourself off and get back on the board. With the right board and the right kit, you’ll be zooming away in no time at all. Liked the post? We won’t mind a share on your favorite social network!